One of our local pubs asked if we could come up with a design for a t-shirt for their staff to wear during the upcoming World Cup. 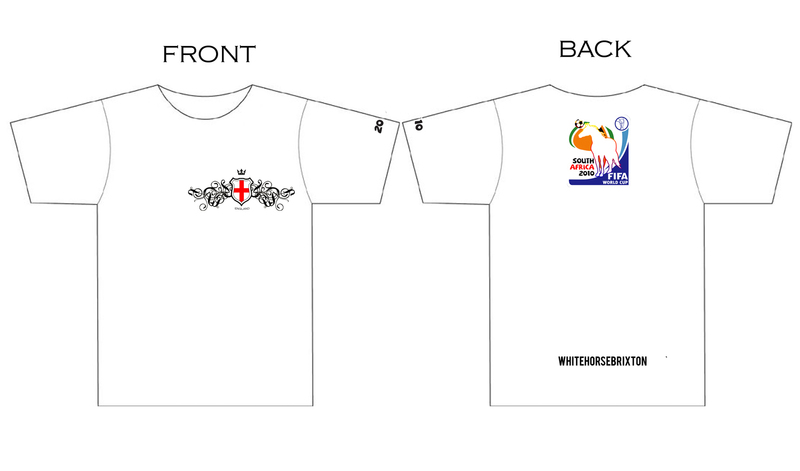 Despite the fact that we aren’t actually English we thought it only fair to come up with a design. The logo on the back is an adapted version of the World Cup logo which, obviously, features a white horse.